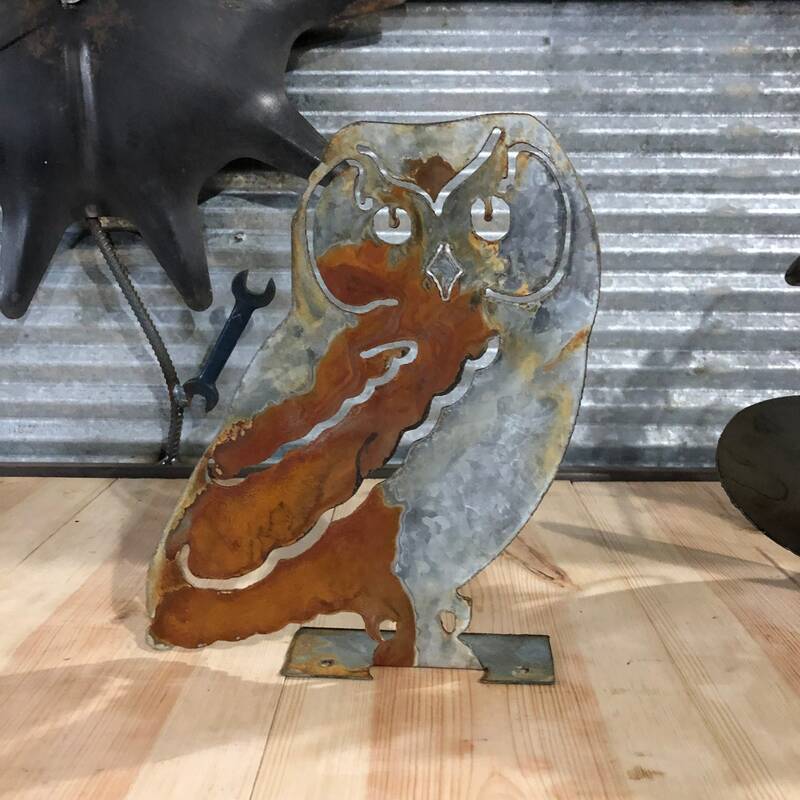 One 11.5 inch Owl cut from galvanized metal distressed in our shop. There may be slight differences between each owl as there are all done by hand in our shop. Custom sizing is available upon request at additional cost. Simply contact us with the desired size. We will quote you a price as soon as possible. Wholesale is available, please contact us for pricing and to place an order. Minimums apply. You may also visit junkfx.com to view more of our products.